Barbara Bassi, founder of BBConsulting, shares in this interview her tips around the metrics marketing and communication professionals should include in their strategies in order to convince the C-suite. 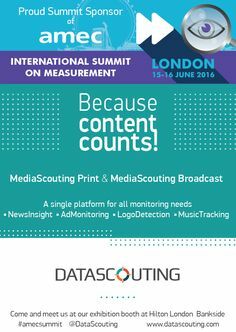 Furthermore, Barbara talks about the role that measurement plays in identifying the best earned media opportunities and outlined how clients can improve the performance of their communication programmes by levering data, analytics and measurement insights. As AMEC board member, Chair of the AMEC European Chapter and Vice Chair of the AMEC College and Education working group, Barbara talks about how important education in measurement of communication activities is. And finally, Barbara predicts the 2018 trends in content marketing and customer engagement. What metrics should be measured in marketing and communication strategies to convince the C-suite? Barbara: Generations of marketers and communicators have scratched their heads over this question. In the PR world, just to mention the most celebrated case, many top managements were led astray by the idea that the EAV – purely in terms of media relations – could be a representative performance metric. This metric is rapidly falling into disuse, as last year’s AMEC Global Insight statistics shown – and in many companies the C-Suite themselves consider it misleading. There are actually a great many metrics available. They emerged especially after the advent of digital techniques and they cover not only public relations but other communication areas as well, advertising for example. It is worth communicators’ and marketers’ while to get their ideas clear – not least for themselves as well as for their customers – with regard to the process of choosing metrics. They should look at how they relate to all the steps of the marketing funnel and the differing levels of measurement. They need to find the proper relation between concepts, metrics and methods, in order to avoid the classic error of confusing metrics that apply to different levels. This involves a process that cannot be taken for granted by any means. Very often, in fact, companies struggle to pinpoint their own positioning, their own targets, their own business goals, let alone those of communication. It may happen, indeed, that the communicators and marketers themselves do not properly orient their customer. They may sometimes suggest only generic communication goals, or activities improperly aligned with the intended target. Leading companies hand in hand towards the process, following all the stages of the marketing/communication funnel and envisaging for each step a measurement level with its own appropriate metrics, is an exercise that, if it is properly explained, will succeed in persuading the C-Suite that the method followed is a suitable one. In truth, whatever the metrics chosen, if they are to be convincing they must be in strict alignment with the companies’ communication and business goals. Consultants have the task of helping their customer to understand, first and foremost, the linking thread between their business and communication strategies. Next, they must identify tools and metrics that will be able to measure coherently the results they wish to achieve. Lastly, if they want to be credible, they must make the metrics clear right from the drawing-board stage of the communication or marketing plan. What role does measurement play in identifying the best earned media opportunities for your business? 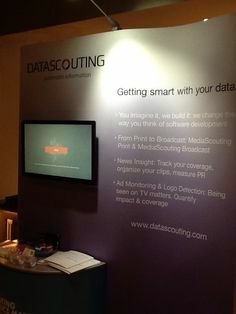 Barbara: The advent of increasingly sophisticated media-monitoring and data analysis platforms – platforms that can elaborate data and insights in real time – means that earned media performance, especially on the web world, can be kept under control ever more easily. It has therefore become much easier to act on the results. Paradoxically, though, the sheer amount of data available makes it harder to understand what really matters when it comes to choosing opportunities. Here too, though, it is difficult to understand clearly the meaning of certain data, or to understand how the available tools or channels calculate them and measure them. This means that a good deal of patience is required to keep updated in relation to metrics and calculation methods, but this is the only way to make a reasoned choice. How can your clients improve the performance of their communication programmes by leveraging data, analytics and measurement insights? Barbara: With the help of previously obtained data and research, and by following new actions with suitable measurements, you can certainly measure performance variations in communication activities. Here too, though, you have to carry through a rigorous process that pinpoints goals that are “smart” in the true meaning of the word, as well as that of the acronym – Specific, Measurable, Achievable, Realistic, Time-Based. This process must be able to place everything – metrics, methods and levels of measurement – so that even laypersons can grasp the sense of the data obtained. Having done that, you have to provide a context for the chosen KPIs. Very often, in fact, no one in the company apart from the communication professionals is able to understand whether the results achieved by certain indicators are good or bad. You need to elaborate, for this purpose, credible benchmarks to which people can refer during the phase of evaluating the company’s activities. A more transparent process, both in defining indicators in relation to goals, and in assessing results in relation to benchmarks, will also help to demonstrate the need to allocate suitable measurement activities. This latter, indeed, may remain the greatest obstacle posed by companies to the choice of suitable measurement processes. The focus on content marketing is constantly increasing. What trends do you see in content marketing and customer engagement in 2018? Barbara: Content marketing is assuming an increasing role in companies’ marketing strategies, regardless of the budget available. This is because you do not necessarily have to have large sums to spend in order to be convincing. Indeed, with a good strategy you can achieve interesting results and gain the attention of specific niche areas with costs considerably lower than those of traditional advertising. Markets are becoming once again what they used to be centuries ago – “conversation places”, albeit almost entirely virtual ones. Customers are looking for something that will link them to a company throughout the customer journey towards purchase of the product and even beyond it. The selection-purchase and product trial process becomes an actual experience. It is necessary to keep these concepts constantly in mind in order to understand what may really interest the customer and what will continue to do so in the future. Furthermore, if we truly get to know our potential customers, what they are looking for and what their underlying motives are, this can help us to get a better return on investment from our content marketing strategy. Video marketing is certainly an advantageous way of interacting with users. Anyone will look at a video more willingly than they will read a text, and YouTube is still by far the most favourable channel for distributing content of this kind. The creation of specific videos – from “how to do it” to small trailers for the promotion of goods and services – remains an activity that is well worth developing. But the goal of content marketing, apart from brand promotion, is the acquisition of credibility on the net. The creation and publication of case histories is a fundamental activity for achieving this purpose, as are white papers, E-books and infographics. It must be remembered that over 60% of marketers declare that they make use of blogs as the cornerstone of their content marketing strategies, so I would expect the net to become increasingly fertile terrain for further diffusion. The content, in each case, will be increasingly created in the form of stories to be told, almost like TV serials. Real examples, personal experiences and facts that really happened are the content the net people love reading and sharing. It’s a good idea, lastly to keep the mobile well in mind. If you create mobile-friendly content – whether in your blog or website layouts, in videos optimized for mobile viewing or by using characters in your E-book that can be read in a smartphone – you will engage better with the constantly connected consumer. Statistics show, in fact, that visualizations via mobiles are constantly on the increase. Companies are not always equipped to create new and updated content, though. Content marketing strategies for 2018 include that of examining, publishing and sharing content from other sources and other websites. This might sound unimaginative, or even a good way to lose traffic for your own site and social profiles. In reality, it doesn’t work like that. This activity has its own return from the target public in terms of image and trustworthiness. By publishing qualified content from other sources, in fact, the company shows itself to be expert in the sector and well acquainted with the subject. E-mail marketing, too, as a result of effectiveness and conversion rates higher than those of other promotional tools, will continue unabated and will remain a cornerstone of content marketing strategies. In any case, whatever the market and sector of origin, whatever the content marketing strategy adopted, operators should keep the “data” factor well in mind. If you take data as your starting point, you can understand what works and what doesn’t in the strategies you’ve adopted. You can then give proper direction to your energies and resources. It is fundamental, too, to set KPIs that consider both the traffic generated by the content, and other business metrics such as sales and leads. What’s the role of education in measurement of communication activities? Education has a key role to play in orienting the market towards best practices. This is also true, obviously, in relation to the measurement of communication activities, an area in which opportunities for training have never been numerous or even frequent. This year AMEC, together with its already tried and tested international training activities, such as the annual Summit, AMEC College and Measurement Month, to mention just a few, has promoted the organization of seminars that aim to provide an opportunity for training on the territory. These seminars are supported by the individual AMEC members. This makes it possible to delineate and adapt themes and training content to match each country’s reality and its state of the art in measurement. We must remember, in fact, that cultural differences between different geographical areas can be substantial, and the professionals from various parts of the world need time to assimilate best practices. This initiative has been received with great enthusiasm by the European Chapter, of which I am Chair. Indeed, three seminars have already been organized in just the first five months of the year – in Prague, London and Stockholm. Participation in all of these was exceptional. The other Chapters – Asia Pacific, American and South American have followed the same route and all the events organized have had great success. We are very proud of this initiative and we will certainly repeat it in the future. Barbara runs her own business under the brand BBConsulting and provides consultancy on Communication and PR is the B2B sector, with a specific focus n measurement of communication. Former journalist and press officer for important clients within PR companies, Barbara joined the media intelligence industry in 1999 setting up a business unit dedicated to PR measurement within the Italian media intelligence market leader, where she worked as business unit director and was a partner for more than 17 years. She has been committed within AMEC as Board Member for 12 years and she is currently European Chapter Chair and Vice Chair of the AMEC College and Education working group. You can reach Barbara by email, follow her on Twitter or connect on Linkedin.